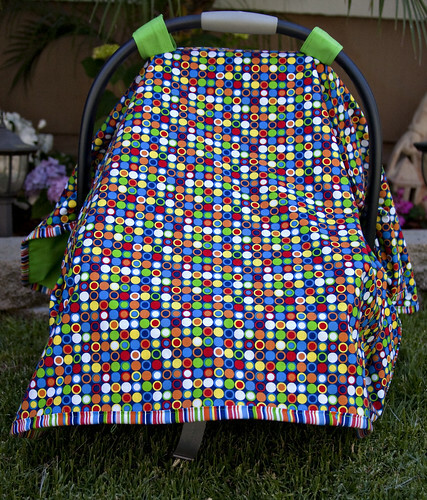 I finally got into a sewing groove and sewed with this new fabric line that is out called Beep Bots by Jillian Phillips. 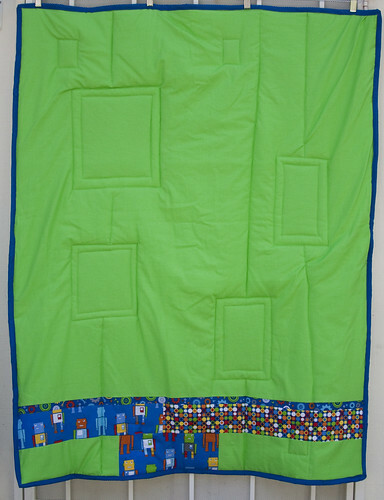 The minute I saw it I knew I wanted it for this quilt. I had a totally different quilt top made out in the beginning and for the first time ever for me I un-picked the whole thing because I just did not like it. It did not turn out like I wanted it to. I am so glad that I did since this is what I wanted it to turn out to be and I LOVE the wonkyness. 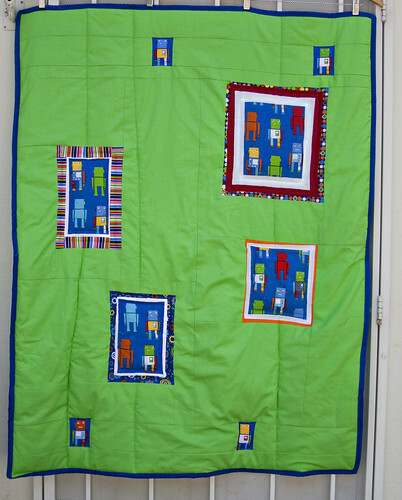 The quilt measures 40" x 52". 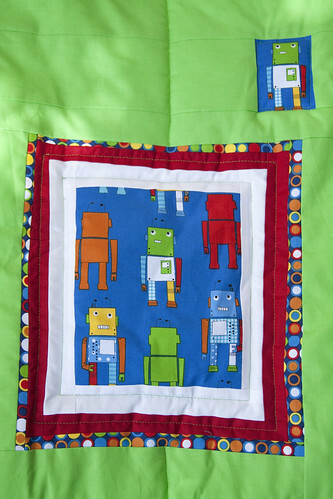 The quilting is geometric to add to the whole robot thing. To bad my lines are not straight. But I think it looks great on the back of the quilt. These robots are so fun aren't they? 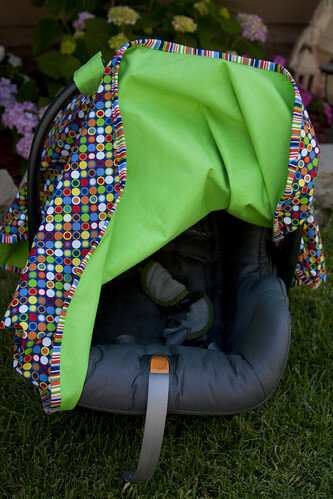 Then to top it all off I made a carseat tent/cover to go with the quilt! 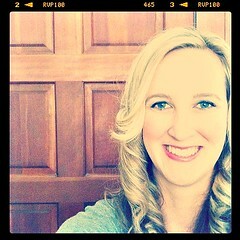 I just LOVED mine to death they are the best thing. I used a the stripe for the binding but wanted to see the green so I used that for the straps. I hope its new owner loves it all as much as I do. 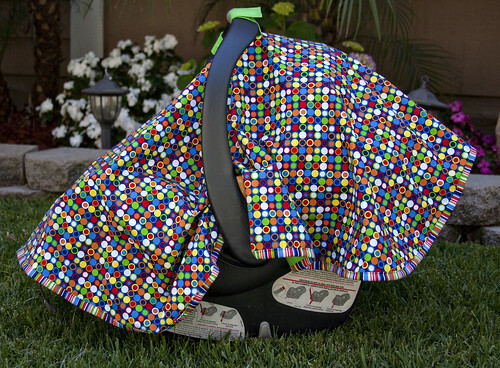 I LOVE that carseat tent! Did you use a certain tutorial for that or did you wing it? If you used one, would you mind saying which one? I'd love to make one of those for my new baby!